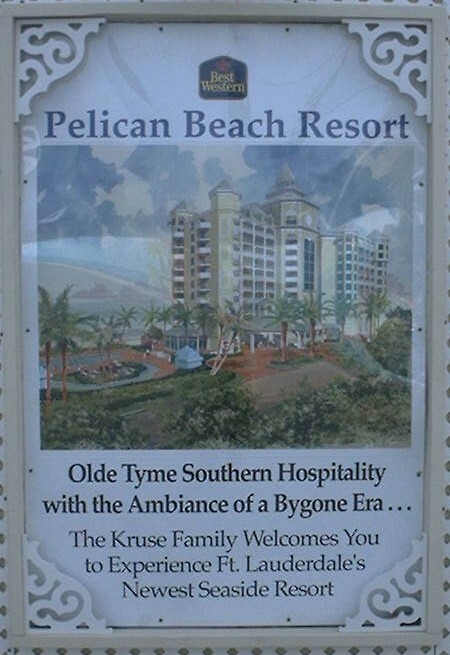 The Pelican Beach Resort has two all fiberglass cooling towers on the roof. Each tower has the capacity of 150 tons. 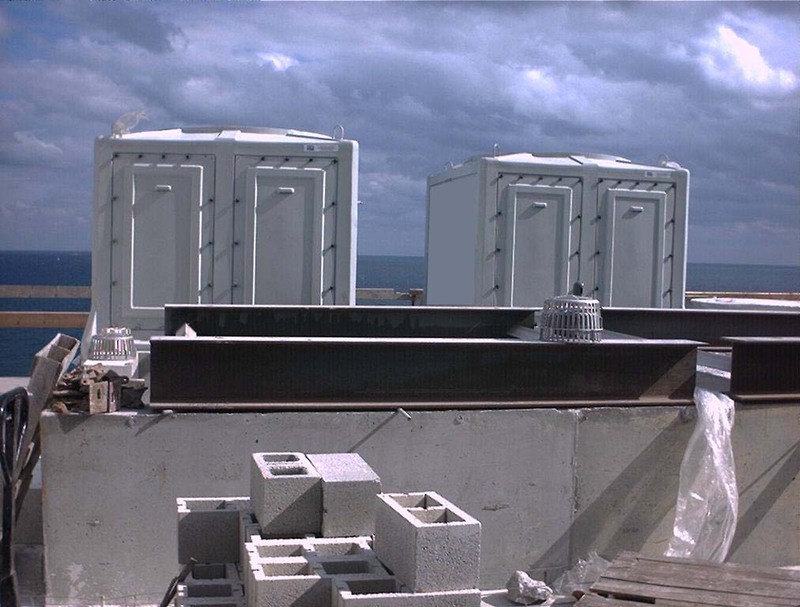 CTI certified, the towers will provide years of service in the highly corrosive environment of Ft. Lauderdale beach. 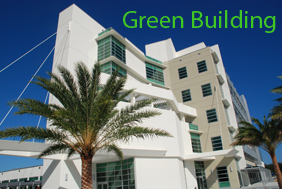 A two building 22 story Luxury Condominium featuring One, Two & Three bedroom units and Penthouses. 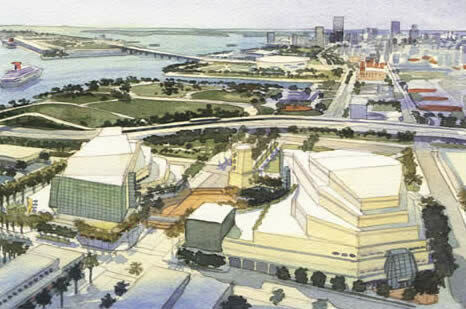 Located on Biscayne Boulevard between NE 13th and 14th streets, the Miami Performing Arts Center will consist of three performance facilities, totaling 570,000 square feet, which will be linked by a pedestrian bridge spanning the Boulevard. The Performing Arts Center is expected to house over 300 live performances a year, as well as cultural programs, social events, and business meetings. In an area that typically shuts down at sunset, this will be a big change, putting a lot of people in the streets. 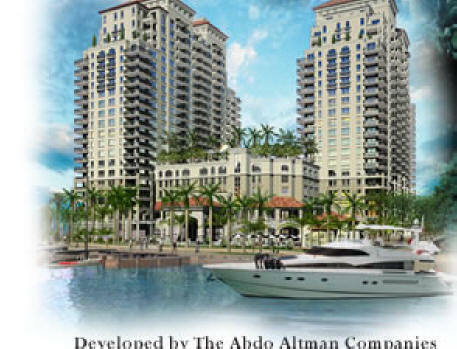 The new district has the potential to become one of the most heavily built neighborhoods in South Florida. Nearby are several residential tower condominium projects, including the 60-story Marquis, the 56-story Opera Tower, the 50-story Ten Museum Park, and the 50-story Paramount Bay. 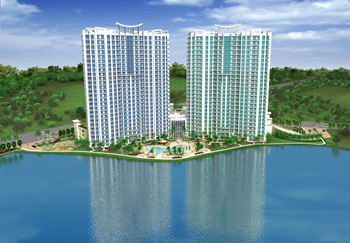 A unique blend of resort style living, spacious residences and urban convenience that brings high-rise luxury living to new heights in Sunrise. A new Federal Courthouse set to open this summer in downtown Miami will contain approximately 303,500 occupied square feet and approximately 557,000 gross square feet. The project includes 16 district courtrooms and chambers along with space for the Clerk of the Court, Grand Jury Suites, Pre-trial Services, the U.S. Marshals Service office, Marshal Service sally port with secure corridors and detention cells; automated data processing area for probation, the U.S. Attorney and GSA Operational/Joint Use space for conference/training rooms; loading dock, trash and recycling rooms, mail room, dock office, security/fire life safety office, and storage space. 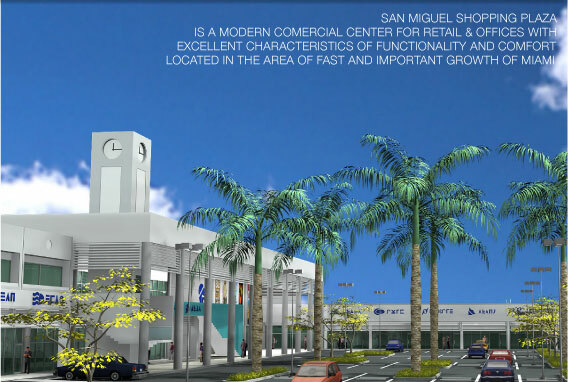 The project includes a tunnel connector link to the existing Federal Court complex and 110 secure indoor parking spaces. 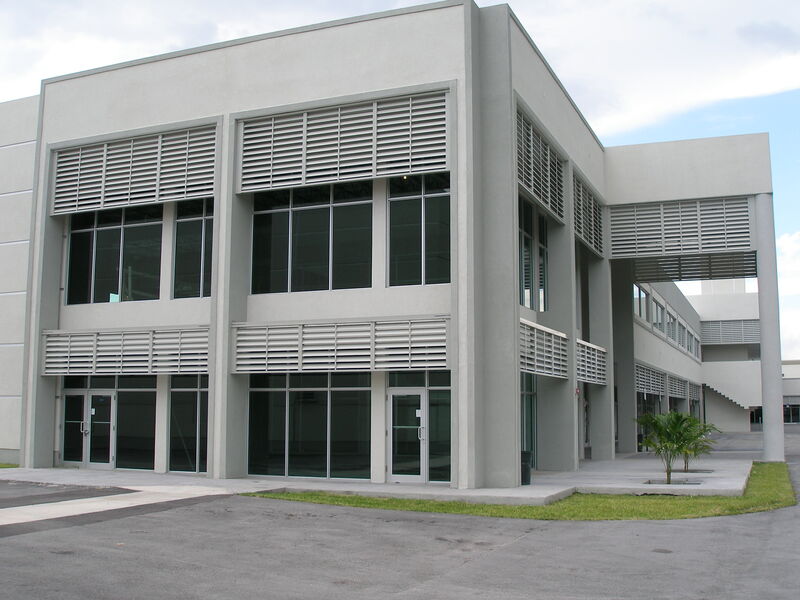 HVAC Associates Manufacturer, American Warming and Ventilating, furnished much of the HVAC product. A REVOLUTIONARY NEW POLYMER PRODUCT ENABLES LATENT HEAT TRANSFER. 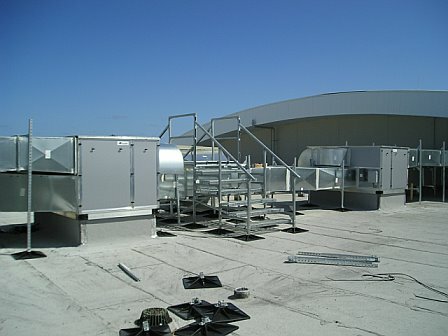 THIS RECENTLY INSTALLED POLYMER BASE, MOTIONLESS, PLATE TYPE ENERGY RECOVERY UNIT SUPPORTS ADDITIONAL VENTILATION REQUIREMENTS, CUTS OPERATIONAL COSTS, AND INSTALLATION SHUTDOWN INCONVENIENCES. 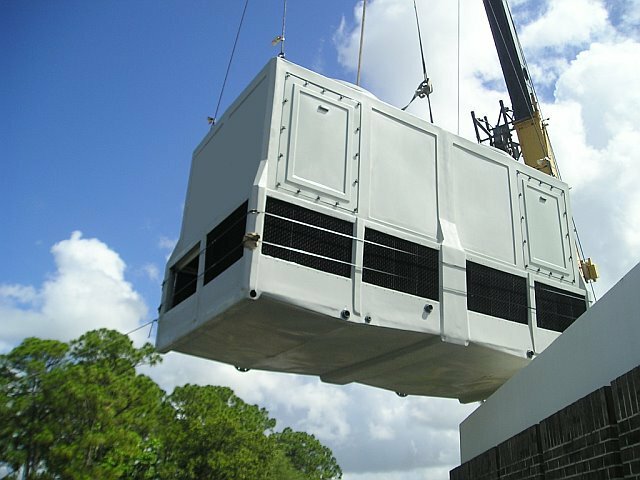 INCLUDES SAVINGS IN DOWN TIME FROM EXTENSIVE HVAC PLANT AHU RETROFIT AS WELL AS IMMEDIATE AND PROLONGED OPERATIONAL COSTS. The project we are currently viewing is located at one of Waste Management’s many electric power CO-GEN plants. 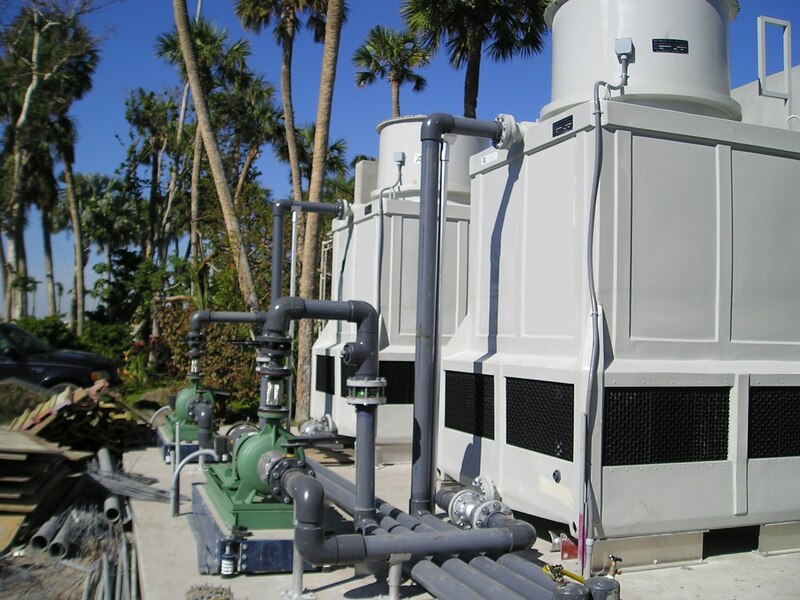 This particular plant is located in Pompano Beach, Florida and was designed as a methane gas recovery fired, steam turbine electric generating system, providing some 5 megawatts of power to the grid. 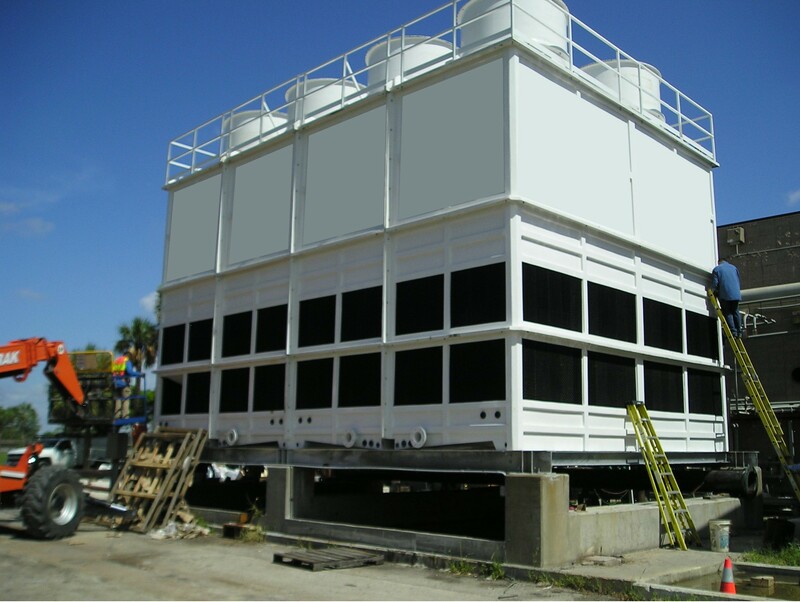 Our cooling tower is an integral part of that system’s steam condenser water, cooling cycle. Circulating 4,750 GPM of 100deg. F. entering water, leaving at 85deg. 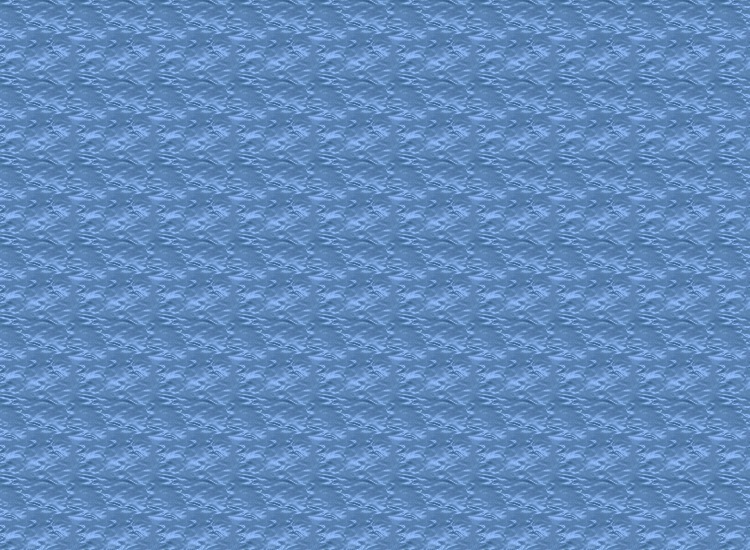 F. utilizing a type “CF 1900 fill, nominally this would be considered around 3,000 tons of refrigeration cooling heat rejection. 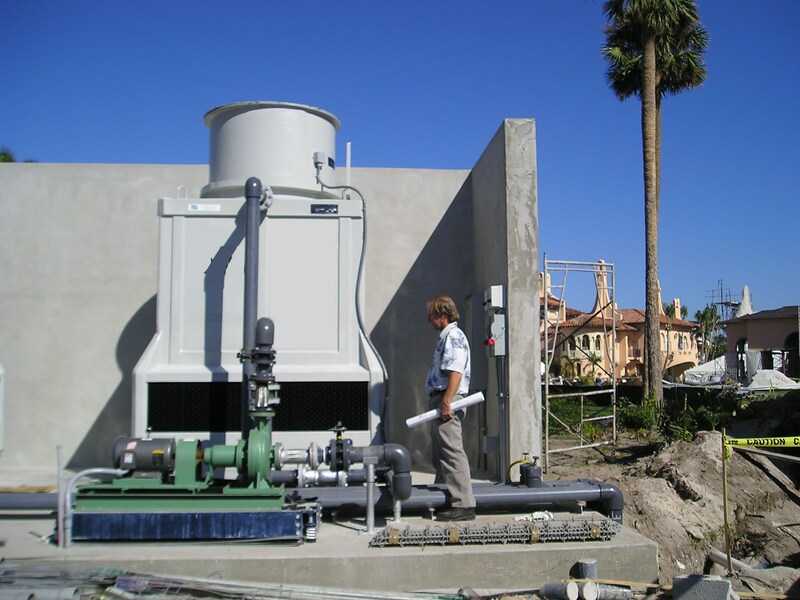 Due to the nature of the process environment, several very interesting design conditions led the design engineers in the direction of fiberglass construction. As you may know, fiberglass is impervious to nearly every substance known to man, and commonly use as a piping transporter of research laboratory liquid acid waste, safety encasement on gas station distribution piping, as well as the storage tanks. 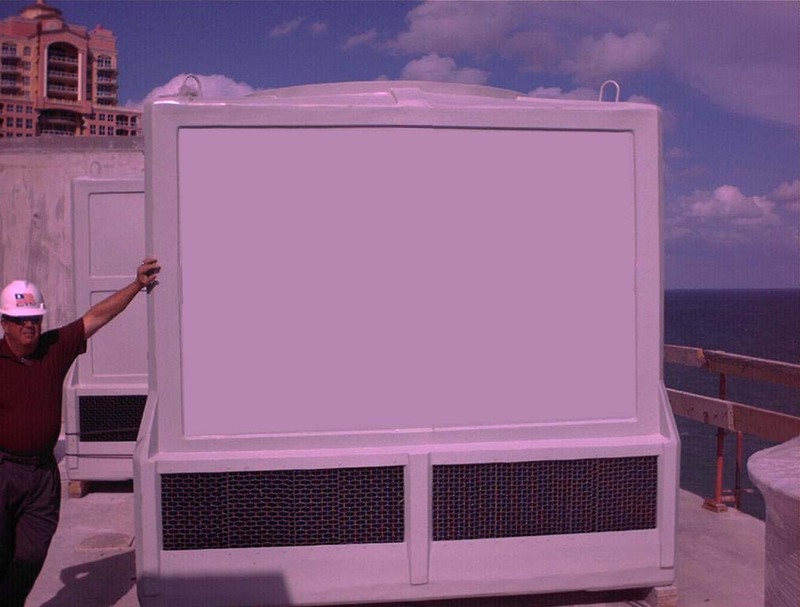 Not only does fiberglass posses chemically impervious properties, but also durability in strength is challenging, noted in its use as the material of choice in the marine industry. 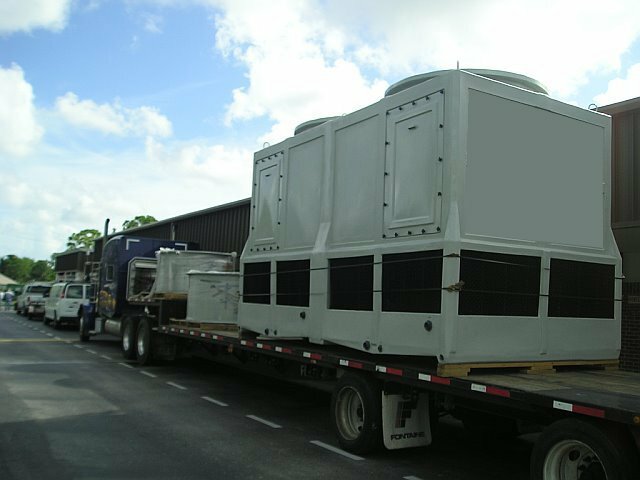 Cooling towers are currently rated for 150MPH lateral wind, weather environments, and carries a 10 year warrantee on the casing structure. 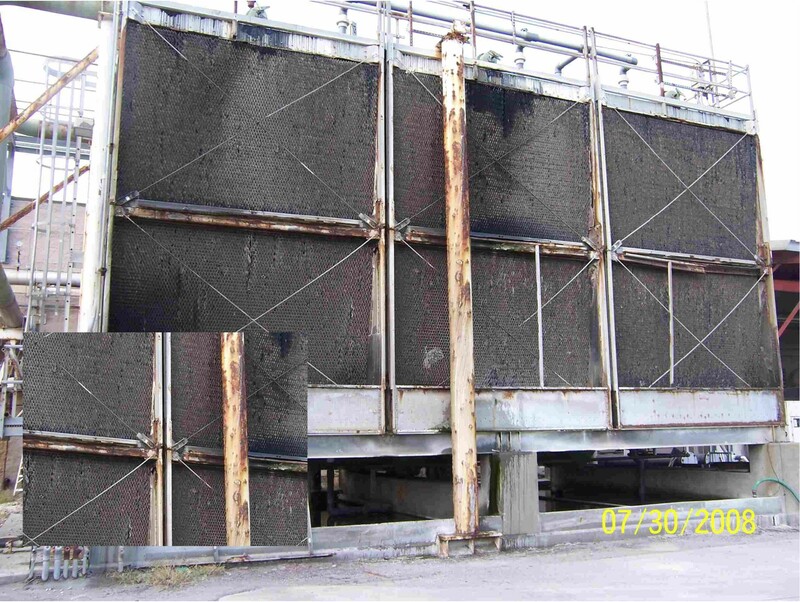 As can be seen in photo below, the retrofitted steel cooling tower on this project did not withstand the rigors of the environment as well as the heavy doses of chemicals required to provide the high quality of water condition needed in a steam generating process of this type. In short, this was the perfect marriage of equipment material composition with process environment requirements. 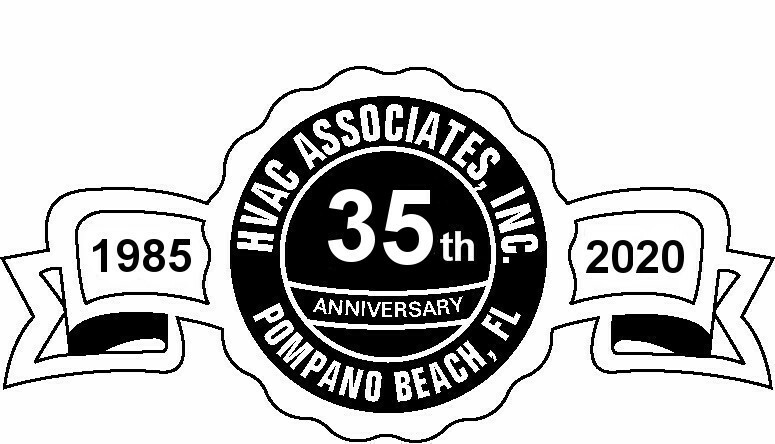 Please visit our web site at HVACFL.COM to view the many other project locations as well as our extensive line of air conditioning products.